Following Savenio‘s win earlier this week at the Virtuoso Travel Week for ‘Top year-over-year percentage growth’ – see story below – LATTE chatted exclusively with the Australian luxury network’s Managing Director David Brandon from Las Vegas, for a Piccolo (short chat), to understand just how significant this accolade is for his company. Congratulations, David, on Savenio’s award. Why is this year’s award significant to Savenio? “Savenio is a small, independent business and we have made a big mark in the industry. Not just in Australia, but internationally. Our win is not just a win for Savenio; it is a huge endorsement of the philosophy behind our brand, which is that true independence leads to success. And why is it important to you personally? advisors a space to earn what they are worth and be truly independent. Given Savenio’s growth trajectory, is it reasonable to expect that you might be among the finalists of this category again next year, and could you make it back to back wins? We can only continue to do what we do and do it well. At the end of the day, these awards are fantastic, but they are no more important than our clients and the Savenio Independent Travel Designers who work with them. Which travel, and non-travel, companies inspire you/do you admire? Virtuoso inspires me every day to strive to be the best of the best. When I joined Virtuoso, I wanted to be a part of a global company that can deliver our clients exclusive amenities so I could add value to their holiday, which gives us the edge over other travel agencies. Like us, Virtuoso is growing and leading the way in the luxury travel space. My dad always told me ‘hard work never hurt anyone’ and I have always adhered to that principle. I love helping clients to build their holiday dreams and also helping our Independent Travel Designers grow their own businesses to be more successful. That really makes it easy to be passionate about my job. 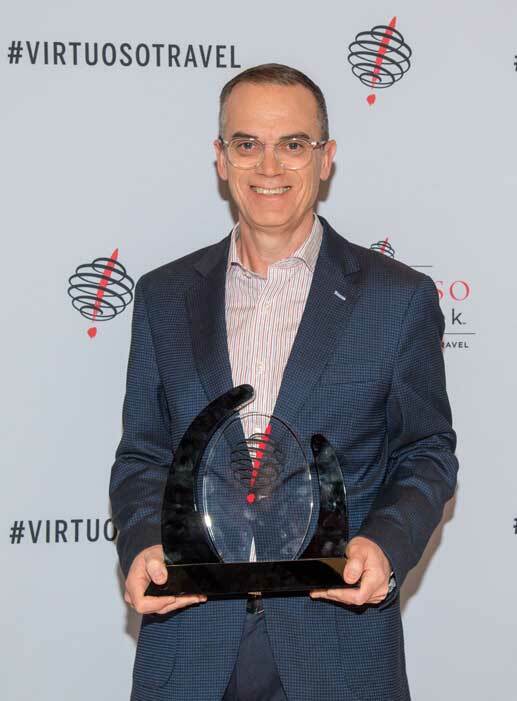 Savenio luxury travel network has gained global recognition, receiving the ‘Top year-over-year percentage growth’ award during the opening ceremony of Virtuoso Travel Week in Las Vegas this week. The award pitched Savenio against Virtuoso’s travel agency partners across 50 countries, recognising the extraordinary growth of the brand over the past 12 months. “This award is a true reflection of Savenio’s commitment to two things: building a network of fantastic advisors and providing a platform where they can deliver excellent travel experiences for their clients,” Savenio’s Managing Director, David Brandon said from the Bellagio, Las Vegas. “My Savenio colleagues are drawn from the top 2% of Australian travel advisors and have an unrivalled level of experience and knowledge of luxury product and commitment to client service. “Savenio attracts the best of the best in our industry as we pay them the highest commissions and give them the greatest flexibility in choosing the products which are most suited to their client. Savenio’s David Brandon with Virtuoso’s Michael Londregan, Michele Saunderson and Cristina Magni. “We support all of our Independent Travel Designers to create the best possible itineraries for their clients and that means having the independence to choose the right product, not the one they have been told to sell. We believe independence equals success. 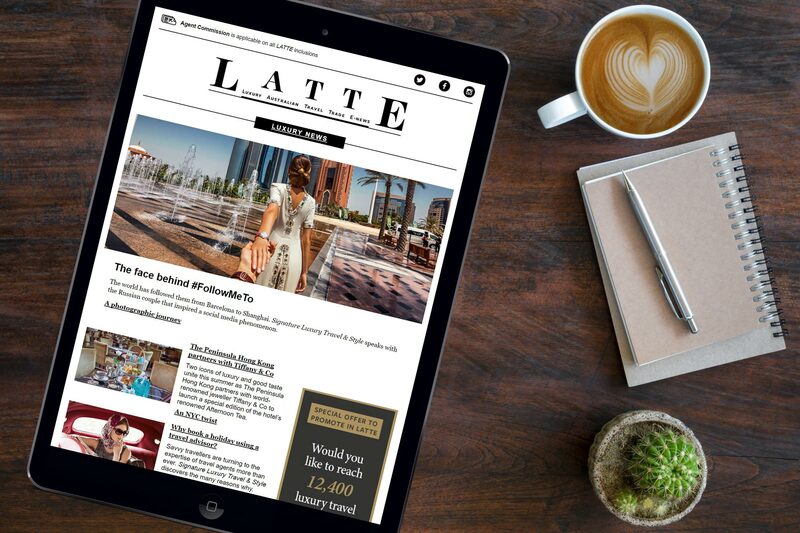 Further updates from Virtuoso Travel Week to come in this week’s LATTE.